As any good Dr. Who fan knows, the TARDIS can go anywhere anytime Xavier's universe is no exception. 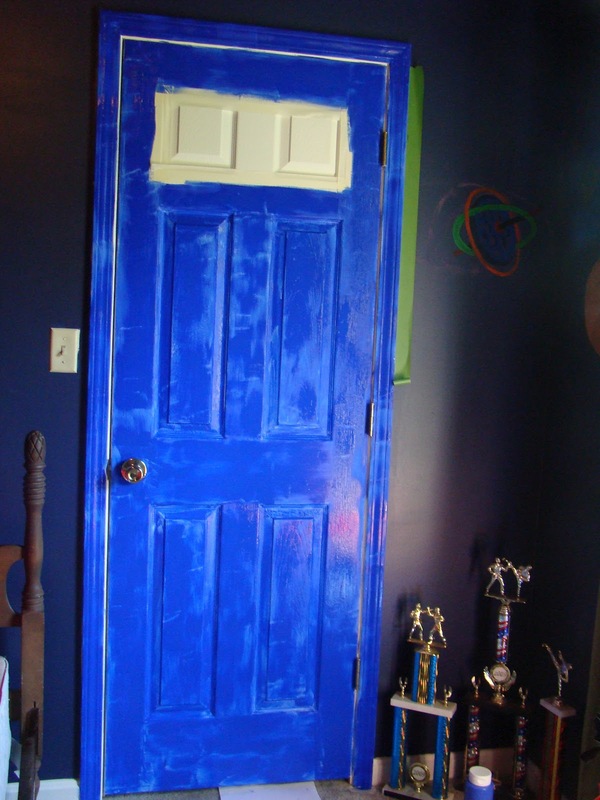 This is the evolution of the TARDIS in Xavier's room. Xavier said I was cheating by using tape to make my lines straight. 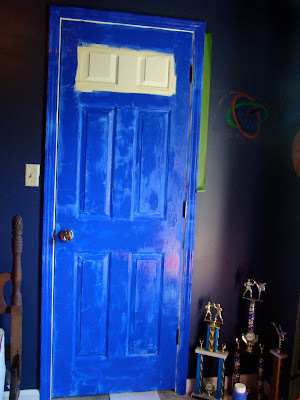 I used all 750 ml of this blue paint. I'm glad I got the big bottle! You are the best mom on the planet. This is brilliant!